This project involved custom hardware and software to interface real airplane controls to a group of computers running Microsoft Flight Simulator. It is not just for fun. 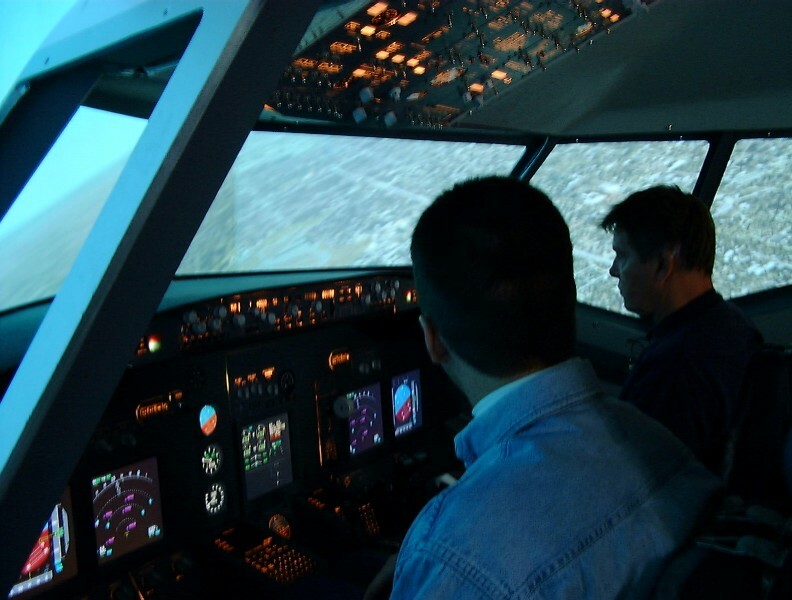 The simulator allows our client, an aircraft part manufacturer, to test prototypes of new flight controls. They can also demonstrate new designs for customers in a very realistic but safe environment. A second system was built for our client to donate to the Challenger Learning Center. It is used by hundreds of visiting school children each year. ​It has sometimes been used by VIP’s, as seen here in this photo of Apollo astronaut Jim Lovell stepping into the simulator cockpit. It takes eight computers running Microsoft Flight Simulator to create the full simulation. ​Our custom software coordinates the computers to work together. It also interfaces to the aircraft controls, switches, lights, and glass cockpit displays. Apollo astronaut Jim Lovell flying the simulator.